UFO SIGHTINGS DAILY: Dark Disk In Earths Orbit Caught Passing In Front Of Moon, Sept 26, 2015, UFO Sighting News. 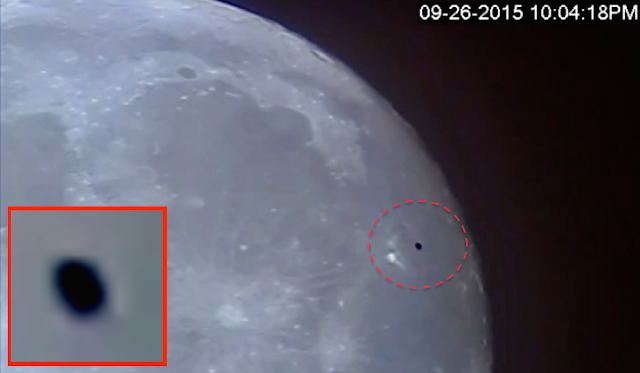 Dark Disk In Earths Orbit Caught Passing In Front Of Moon, Sept 26, 2015, UFO Sighting News. This excellent capture was made by Richard205Maria of Youtube. 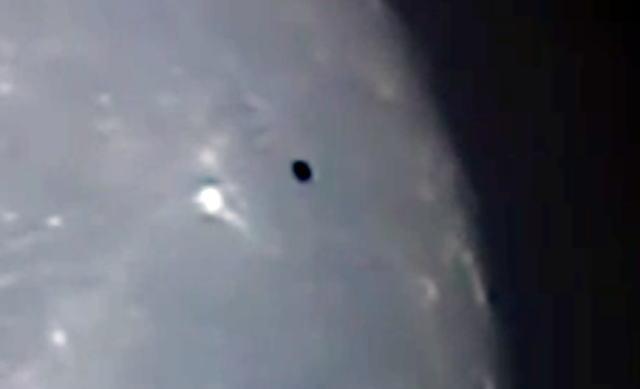 He captured a dark oval disk that looks like its in orbit around Earth. Its detail is amazing. It must have taken him a long while to catch it.